This article details how users can schedule and publish their live streams in the Manager. Through the Event item type, users can create embed codes that only display the player at the times set by the user. 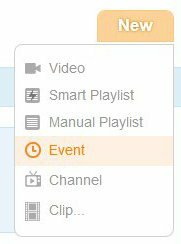 To set up a live stream event, click the orange New button in the upper-right area the Field59 Video Manager, then select Event from the drop-down menu that appears. You’ll then be taken to the Create Event screen. The first thing you’ll want to do on the Create Event screen is upload a thumbnail image. This image will display in the player until the start time of the event. To do this, click the orange pencil button in the Thumbnail area, then click the Select button in the window that appears. From there you can select the thumbnail for your live streaming event, which will then appear in the Thumbnail area of the Create Event screen. Next, you’ll enter some information about the live event into the system. In the Stream drop-down menu, select the correct stream from your available live streams. (Note: make sure you select from your live streams. Do not select “Linear”, which is used to stream pre-created content that has been uploaded to the Manager. In the Player drop-down menu, select one of your custom players if you do not want to use your default player. Give your event a Title (required), Summary (optional), Category (required), Keywords (optional), and Description (optional). 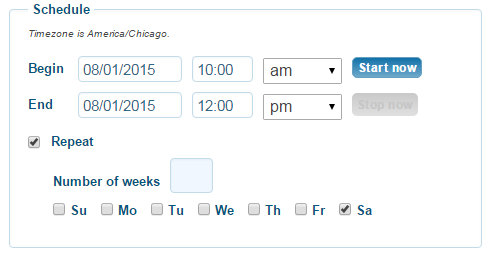 In the Schedule area, set your stream schedule by populating the Begin and End date and time fields. If you’d like a stream to be available immediately, hit the Start Now button. 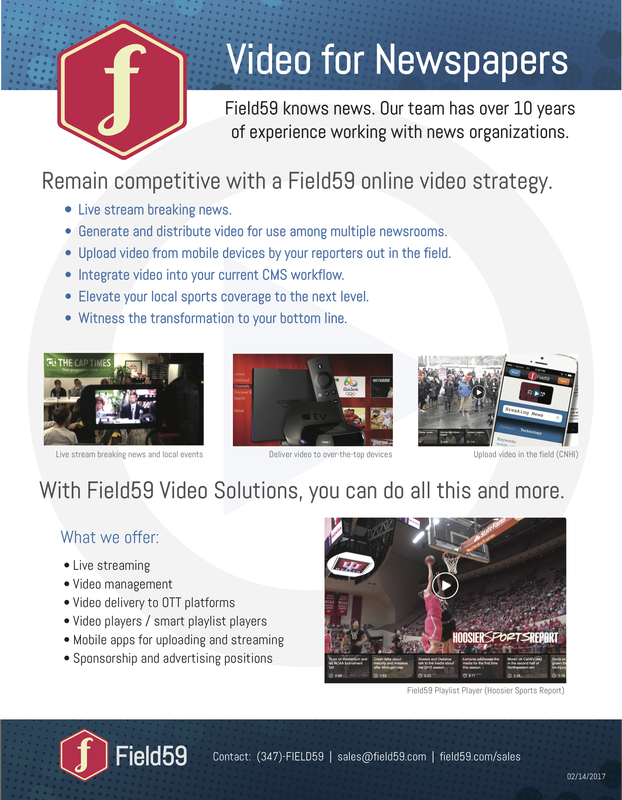 You can also set your live events to repeat on a regular basis. Select the Repeat checkbox and a new display appears. Indicate which day(s) of the week you’d like an event to repeat and the number of weeks you’d like it to repeat. If you want it to repeat without a set end date, leave the Number of weeks field empty. You can also set your event to record. Click the Save to create your event. The new event will appear in the Events list view and calendar view. To edit a live linear event, click on it from either the list view or calendar view to be taken back to the Create Event screen.